Angela founded ilume (previously Tonic) New Zealand in April 2008, with her business partner, Raechel Ford. This move was the culmination of fourteen years of running her own successful Coaching businesses with a focus on developing individuals, teams and organisations, typically within large corporate environments. She has built a reputation for excellence, and is committed to achieving agreed outcomes and objectives with everyone she works with. Angela has a passion for people – a talent that she discovered during her 20 year global corporate career working in London for IBM, The Boots Company and Black & Decker. Angela then went on to Ogilvy and Mather Advertising, before joining Brierley Investments in New Zealand, in a strategic leadership position. All these positions gave Angela the opportunity to understand the motivations of others, and to understand what it takes to create a successful high performing team. 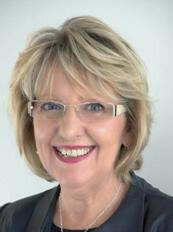 Angela has coached over 3,000 individuals in New Zealand, Australia and the United Kingdom. Her largest project was with an organisation coaching over 400 leaders who were committed to changing a culture and developing individuals and teams internally. The project was deemed one of the most successful programs during the four years it ran. A highlight in her coaching career was working with Antarctica New Zealand and travelling to Scott Base to work with both the winter and summer teams on their development. Part of the Scott Base experience is a stint sleeping on the ice and a climb in -40degC – personal development at its best! Most importantly of all, Angela absolutely loves the work she does, values the clients she works with, particularly as she watches them spread their wings, take control of their lives and achieve new heights every day.